Good for your cat and your wallet! Amazing taste for my young cat lidder. Good for my kittys tummy! 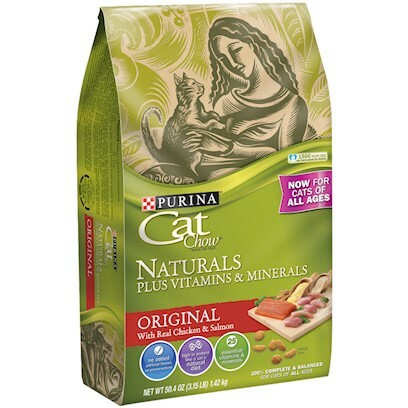 Puina Cat Chow Naturals are FAB! My Cat Ate It, That Should Mean Something! My cat actually prefers this kind over others! Purina Naturals won the taste test. Cats love this and I feel good feeding it to them. Both my cats love it! Natural and good for your cat. Amazing food for both indoor and outdoor cats!